There will be coloring pages to enjoy, along with Wayward’s excellent coffee and treats. 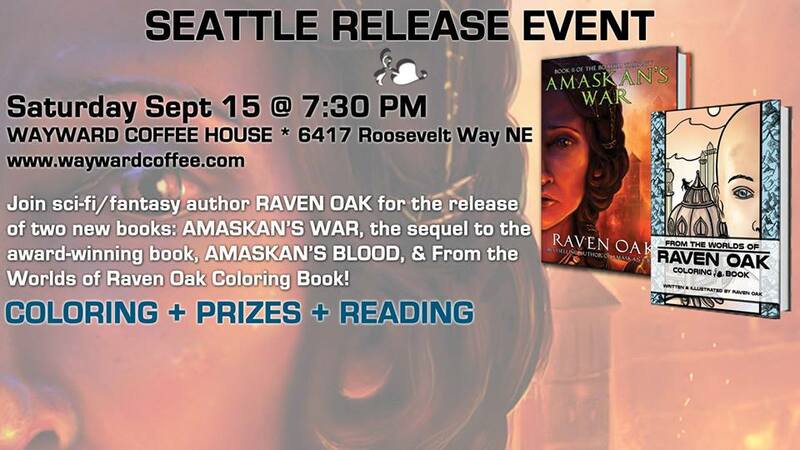 Raven will read from Amaskan’s War and sign books. The books will be available for purchase at the event.